Arrival at Dibrugarh Airport or Jorhat. Reception by our representatives and proceed to Neemati Ghat. Reach Neemati,board the vessel, Dinner & Briefing onboard. Overnight stay onboard at Neemati. Morning after an early breakfast, we will drive to Sivasagar. 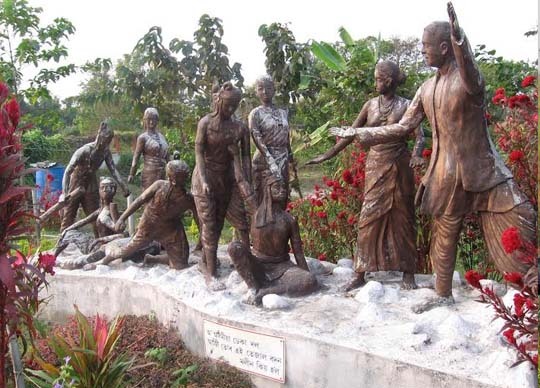 It was the capital of the Ahoms who ruled Assam for 600 years before the advent of the British. We shall visit the ruins of Ahom Palace at Rangghar in Sivasagar. We shall also visit Siva Dol which is believed to be the tallest in India. Lunch in-between, either in Sivasagar or Jorhat. After lunch we will proceed to a Tea Garden or alternatively to Toklai Tea Station / Tea Garden at Jorhat. Here, we will see the process of Tea Manufacture. Afternoon visit the market in Jorhat. Evening return to the vessel. Dinner & Briefing onboard. Today after breakfast we sail to Majuli, the largest human inhabited island in the world & also the cradle of Assamese Culture. Majuli Island possesses unique Vaishnava Monasteries locally known as Sattras famous for their dance drama performance. The Sattriya dance form this set is the latest entryinto India's recognized classical dance. The whole island is now shortlisted for UNESCO World Heritage Status. We will visit a few prominent monasteries in the island, take a glimpse at the simple ways of life of the monks, interact with them, visit the prayer halls and see the unique artifacts. In the evening return to the vessel. Overnight stay onboard near Majuli. Today after breakfast, we sail further downstream to reach near Dhansiri. Here we visit a 'Mishing' village (they migrated from nearby state known as Arunachal Pradesh to Assam centuries ago). 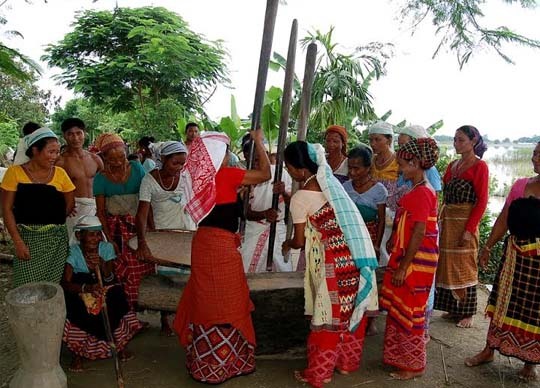 We take a small walk and experience the life of a tribal village. After visit, we return back to the vessel and sail further downstream to reach near a deserted sand island in the evening. Today we enjoy BBQ dinner on the deserted sand island. After morning breakfast, we sail downstream towards Bishwanath Temple. Here we will visit the famous temple popularly known as "Gupta Kashi" which is located at the confluence of Bridhaganga (Burigonga) river with Brahmaputra, andalso visit Biswanath village. After visit we will return to the vessel and Lunch onboard. After lunch, we sail further downstream and reach Silghat. Evening free. 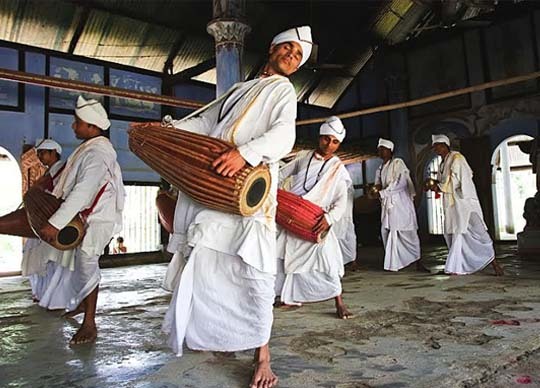 We can have an evening walk at Silghat before settling down for a Dance Performance onboard by the local artist. Dinner & overnight stay onboard at Silghat. After breakfast, we drive to Kohora, central range of the Kaziranga National Park for an exciting Jeep Safari. The great one-horned Indian Rhinoceros is very easy to see. 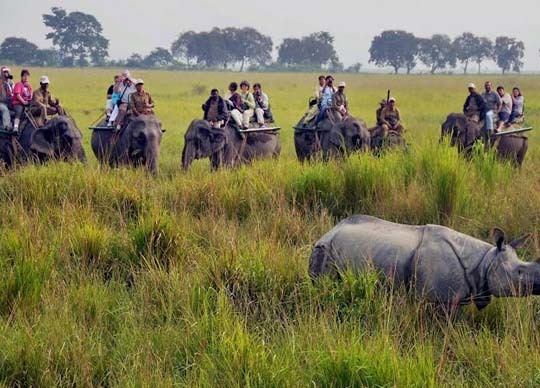 Few sanctuaries anywhere can provide as certain an assurance of a unique setting and sight of its best known wild animals and birds as can Kaziranga. After the safari, we visit a nearby village to experience the life of a villager living next to National Park. After the village visit, we go for lunch in a jungle resort. After lunch, we go for another Jeep Safari in another range of the Park. After safari, return back to the vessel at Silghat. Dinner and overnight stay onboard at Silghat. We rise early and drive to Kohora, central range of the Kaziranga National Park for an exciting elephant safari through the tall swamp grasslands of the Park.After safari, we return back to the vessel at Silghat. Get refreshed and take a palatable breakfast onboard while start sailing further downstream to our next destination Tezpur, the town of Eternal Love. Reach Tezpur by noon. Take lunch onboard. 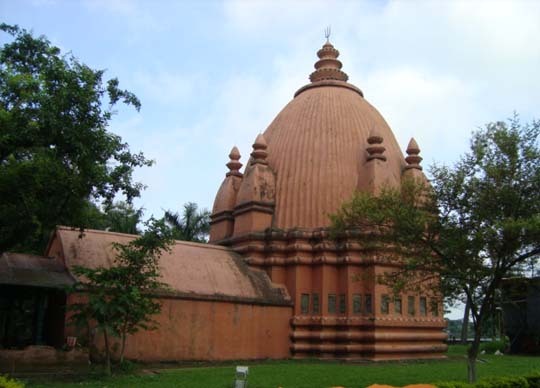 After lunch visit Visit Tezpur, the town of magnificent scenic beauty and exquisite archaeological ruins. We will visit the 6th Century ruins of the door frame of DaParbatia temple and the Cole Park. Evening free, we can take a short walk in the town of Tezpur. Return to the vessel in the evening. Today is the last night on the vessel. We enjoy the farewell dinner and get introduced to the vessel staff. A brief moment for sharing our memories of the cruise. Early morning after breakfast we proceed to Guwahati Airport for our onward journey. On the way to Airport, if time permits, we will visit the Kamakhaya Temple. Note: Itinerary is suggestive and subject to river & weather conditions. Elephant Safari subject to availability of seats.